Skylights that are installed without the proper professional sealing standards can turn out to be very costly in the long run. Kelly Exteriors offers you glass installation experts to give your home the long term protection that you expect and deserve from a professional contractor. Installing a skylight into your home can improve the equity and living space and help you reduce your carbon footprint. 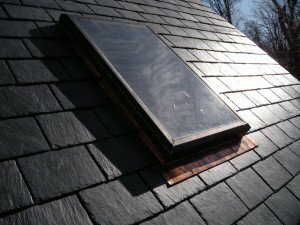 A skylight can help you save money on energy costs. When you add a skylight you allow more of the sun’s rays into your home creating a warm and inviting atmosphere. You can reduce the level of light electricity you need to have on and save energy. Heat energy is trapped by the skylight and reduces the amount of energy needed to heat your home in the winter. Adding skylights can help to make your home more modern and energy efficient. Skylights are available in a variety of sizes to suit your home or commercial building.